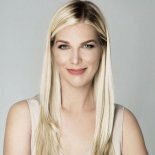 Laura Lynne Jackson shares how she connected with her psychic ability.Laura Lynne Jackson struggled to embrace her psychic gig since childhood. It took a long time to learn to use them to help heal and teach others. Life on Earth is a fantastic opportunity to learn a lesson in love. All humans are interconnected. Laura recommends opening your mind and heart to communications from loved ones on the other side. Don’t be scared of your own psychic ability or intuition. Listen as Laura joins Dr. Taz to share how she learned to connect with those who are no longer here.